Whether you are building a new home or remodeling an existing one, you want to make sure that all the best materials are used. You also want to be sure that the styling of your home is unique in every way. The one way to complement the look of the décor across your home in a very distinctive way is to hire the services of an expert contractor who will be able to handle flooring installation for you. Bristol Construction is a company that has been providing high quality services to customers across Sacramento, Folsom, Citrus Heights and the surrounding cities. 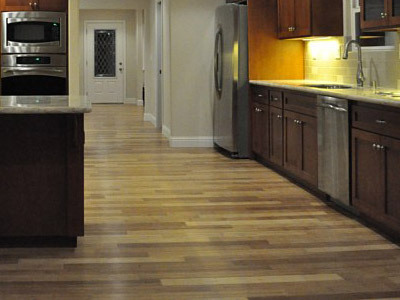 We know how important flooring is to a home. It is the one feature that holds the rest of the design and décor concept together. This is exactly why a flooring contractor should have a certain amount of knowledge about interior design concepts and trends. Since it’s a very permanent feature it’s important to choose it with care. Every homeowner who is getting it installed makes efforts to check which material options are available in the market. Not only is there a large range to choose from, but there is a large variation in their pricing too. Hardwood- This is an all-time-favorite material for flooring and lends itself very well to all types of interior styling. People prefer hardwood flooring as it looks great in homes with open-floor plans (which is the latest trend) and well as in more traditionally-designed homes. If you are planning on using this material as a kitchen floor, you have to ensure that it’s been pre-treated with polyurethane. Cork & Bamboo- Both these materials are now being popularly used by people who are environmentally conscious. These are considered to be better than hardwood from this perspective. Both, cork and bamboo have insulating properties and are comfortable to stand on. Installation is easy and treating and sealing them makes them resistant to water and moisture. Laminate- If you are working on a tight budget and want flooring that looks good and is durable, laminate is a good material. It’s available in a range of finishes and is manufactured to mimic marble, wood and stone. The best varieties come with 3-year manufacturer warranties. These are just a few of the flooring materials that we can install. We also have the expertise to install carpets, tiled flooring as well as acid-stained concrete ones. The latter can also be made to mimic hardwood, tile or marble. Vinyl is another affordable flooring option and is easy to install. 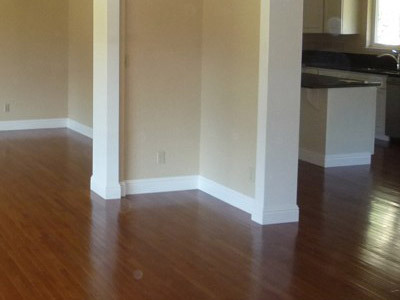 For more information about all our flooring installation services, call Bristol Construction on 916-798-4827. You can use this form to send us an email.